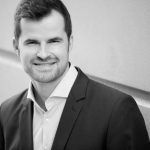 Alexander Nowroth is Managing Partner of Lebenswerk Consulting Group, based in Duesseldorf. He can look back to an international career in the shipping and logistics industry, which has taken him to various leadership positions in Germany, South Africa and Australia. He reduces international transport costs for well-known corporations and medium-sized companies while increasing service and reliability along the entire supply chain. His passion is to build long-term successful partnerships between shippers and service providers by managing the implementation of solutions. In addition to his consulting activities, he is a guest lecturer for an Executive MBA program.